Communication with the owners was great. The villa was clean and well equipped and the outside space was spot on. Plenty sun or shade and a lovely pool to top it off. Great kitchen with enough space for everyone to eat together. Ruime kamers en goed formaat zwembad. Op verzoeken werd snel gereageerd. Zoals ontbrekende afstandsbediening van de airco bezorgen en vervangen van 2 versleten koekenpannen. Lock in a great price for Sunnyland6b – rated 9.4 by recent guests! One of our best sellers in Maspalomas! 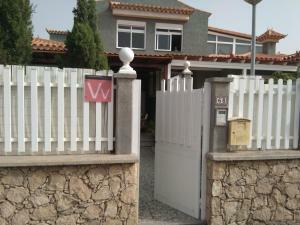 Sunnyland6b is located in Maspalomas and offers barbecue facilities. Complimentary WiFi is provided. This air-conditioned 4-bedroom vacation home includes 1 bathroom equipped with a bidet and a shower. The vacation home also comes with a well-equipped kitchen with a dishwasher, an oven and a microwave, as well as a a hair dryer. The vacation home has an outdoor pool. If you would like to discover the area, hiking is possible nearby and the property can arrange a bicycle rental service. 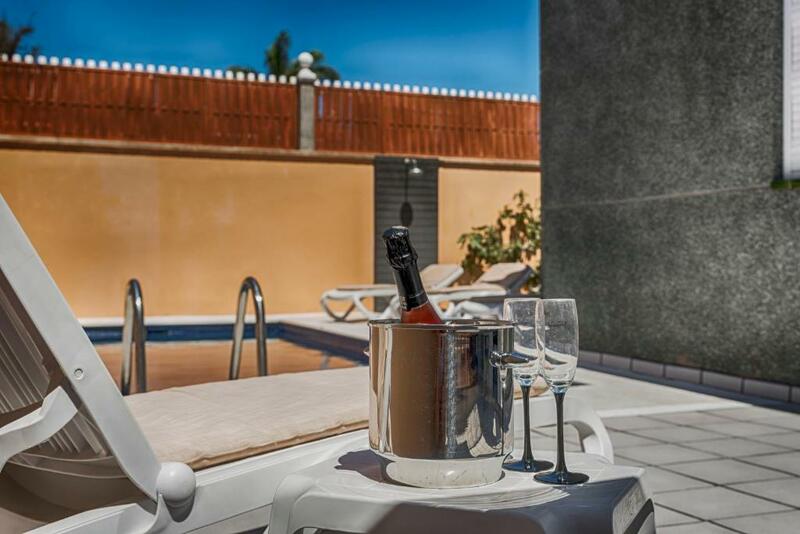 Aqualand Maspalomas is 2.4 miles from Sunnyland6b, while Maspalomas Lighthouse is 1.7 miles from the property. The nearest airport is Gran Canaria Airport, 21 miles from the accommodation. When would you like to stay at Sunnyland6b? This holiday home has a patio, microwave and dining area. Está ubicado en una calle sin salida, lo que le da una gran tranquilidad y pocos ruidos diarios o nocturnos. Excelente para descansar, relajarse y desconectar. Como consecuencia de su ubicación y por experiencias anteriores, no se admiten a grupos para celebración de eventos o fiestas. El depósito responde de que se cumplan las normas de convivencia y las elementales normas de civismo. Como medida de utilidad para ambas partes es aconsejable informar de los horarios de vuelos (llegadas/salidas) a modo de organizar de forma óptima el chek-in y el chek out con antelación. La limpieza de la piscina se realiza de media cada 4 días, en función del número de clientes. Sábanas, toallas de ducha y toallas para la piscina, están incluidas y se cambian 1 vez a la semana. El número de habitaciones disponibles estará en función del número de clientes que hayan reservado. Para 2 personas, habrá disponible 1 habitación. Para 4 personas, habrá disponibles 2 habitaciones. Para 6 personas, habrá disponibles 3 habitaciones. Para 8 personas, habrá disponibles 4 habitaciones. No se permite la estancia ni la pernoctación de más personas que las que han efectuado la reserva. No soy natural de Canarias, pero llevo muchos años residiendo en la Isla. Lugar extraordinario para descansar y huir del agobio de las grandes ciudades. 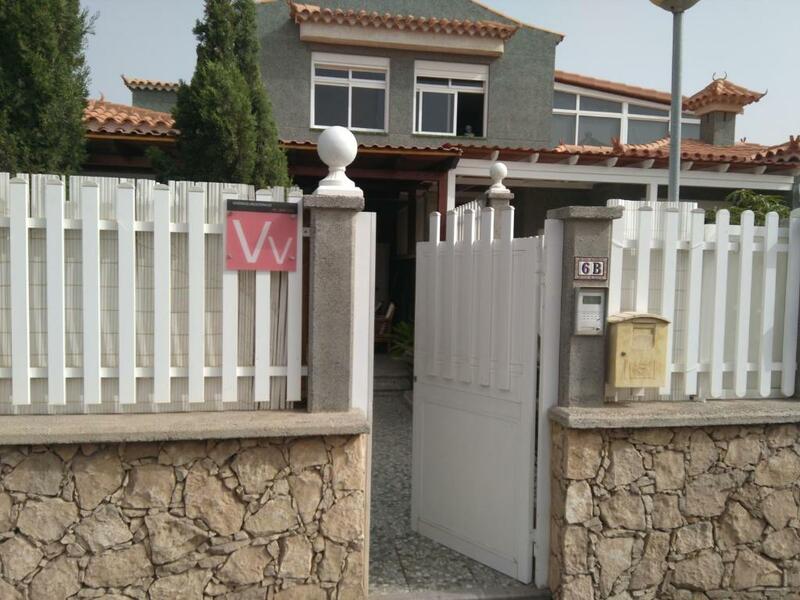 El sector de Sonneland es una zona residencial y turística. Con zonas de compras - C.C. El Tablero - , pequeños comercios de comestibles y de restauración. Todo en un kilómetro a la redonda. El sector de Meloneras, a unos 2,5 Kmts., es la zona más nueva, con una gran variedad de negocios de todo tipo y locales de restauración. House Rules Sunnyland6b takes special requests – add in the next step! A damage deposit of EUR 300 is required on arrival. That's about 337.31USD. This will be collected as a cash payment. You should be reimbursed within 7 days of check-out. Your deposit will be refunded in full by bank transfer, subject to an inspection of the property. We stayed here for two weeks at the start of October. Seven of us stayed for the first week, but only three for the second. Our first impressions were good. The villa was incredibly clean & spacious enough for all seven of us. We were even provided beach towels, as well as ‘welcome food’, which is quite a nice touch, especially given that most places don’t. The pool was most certainly on the cold side, though we did visit in October, so it may be warmer during the summer. However, once you were in and moving around, the cold temperature was no longer an issue in the slightest. The outdoor seating areas are excellent, too. In fact, they are nicer than the images currently found on this site. Be aware, though, the neighbours don’t appreciate moderate levels of noise at reasonable hours, so parties are out of the question. The nearest shop was around 0.5 miles (0.8km), most of which is on an incline which can be very steep in places. Bare this in mind if you have difficulty walking. Roberto and Olivia (the owners of the villa) were incredibly pleasant and answered any and every question we had throughout our stay. In short, an excellent experience!